Just Don't Try and Use Them, People Will Stare at You. Stare with scornful rue too. 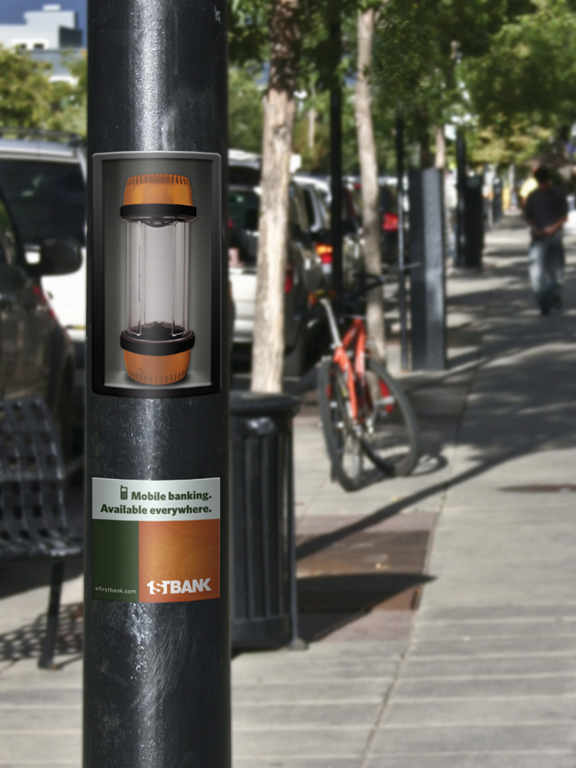 TDA Advertising & Design out of Boulder, did some guerrilla signage designed to turn streetlights into pneumatic tubes. At first, you're probably going, why posts? But shhhhh, chill. It works in the context of the campaign theme "Mobile banking. Available everywhere." Check out the entire campaign here: http://thedenveregotist.com/editorial/3014/creative-crackdown-firstbank-campaign-via-tda.